Named after the popular learn-to-dress kiddie doll, Dressy Bessy’s sugary 1960s retro-pop style—fuzzed-out twin guitars, delicious melodies and jangling tambourines—built a sizable cult following in the U.S. and internationally. Tammy Ealom had the perfect voice for the Denver group’s cartoonish charm, and her playful sense of fashion and love of bold-colored vintage outfits (high-mod miniskirts, Day-Glo tights, go-go boots) saturated the act’s art. Ealon lived in various places while her father was in the military before he retired to Colorado Springs in 1984. She moved to Denver in the mid-1990s and began singing backup with the band 40th Day before boyfriend John Hill bought her a guitar. Hill was learning his chops playing in the Apples in Stereo, the Denver area’s premier pop act. “John taught me some chords and showed me how to use his four-track cassette recorder. I began writing songs and trying to find musicians who would let me boss them around a little bit,” Ealom said with a chuckle. She recruited drummer Darren Albert and his friend, bassist Rob Greene. Hill joined around the time they started recording, moonlighting in Dressy Bessy while handling guitar duties for the Apples in Stereo. The band was singed to the Kindercore indie label and had two songs used in the feature film But I’m a Cheerleader. 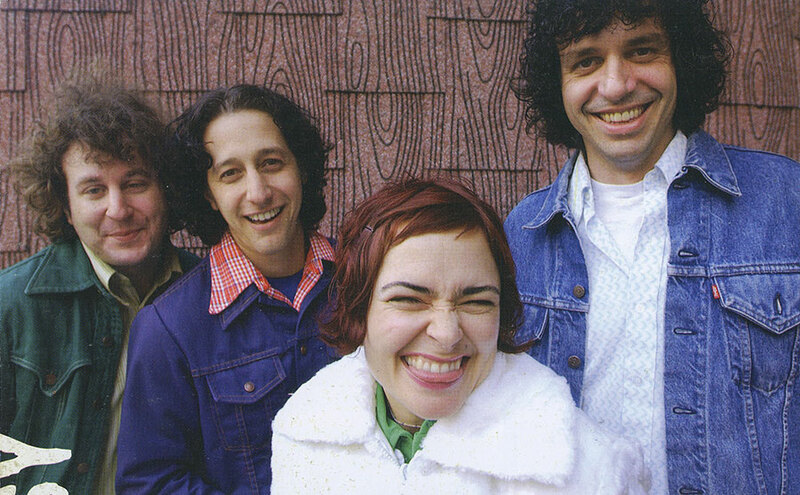 For 2003’s Dressy Bessy, the members got out of their Denver basement and traveled to a New York recording studio, retaining the hooks and simple approach but adding a harder sound. The record got a great response from critics, with reviews in Rolling Stone and Entertainment Weekly, and it was in the Top 10 for weeks at college radio. The band also performed on Last Call with Carson Daly. In 2005, the players issued Electrified, which caught people’s attention when the album received high praise from National Public Radio rock critic Ken Tucker, who proclaimed it a “far more efficient pleasure machine” than Coldplay’s massively advertised X&Y. The unexpected boost led to a high-profile performance on Late Night with Conan O’Brien. 2008’s Holler and Stomp followed, but it was through extensive tours beyond the Mile High City’s borders that Dressy Bessy gained wider exposure and new fans. “I’ve always hated the term ‘local band’ because you’re treated differently by club owners,” Ealom said. “Not so much that they look down on you, but it’s hard to get attention over touring bands because they think you’re just always available.